One of the ways you can help strengthen Day1 as the voice of the mainline church throughout the world is to have your church sponsor Day1 through the Day1 Partner Church Program. For more information click here. Thank you for your ongoing support! Greetings! We extend to you the hospitality of Jesus. We would be delighted to have you seek God with us and to join us in the worship and service of this great Cathedral in the city of Atlanta. We believe that God is the creator of all things and that God's love is expressed in Jesus. Our union is not created because we all hold the same beliefs-we are people at every point along the spectrum of faith. We are joined to one another because all are fed around God's table. In the manner of every faithful church body across the centuries, we gather to draw strength from one another and from God in our worship, and we scatter to share the love of Christ in our world. We are a church Empowered by Christ to Embrace Community in Shared Ministry as God leads! We strive to focus on family as reflected in the lay ministries of this site. We encourage our youth, the church of today! Fourth Sundays are Family Sundays and Fifth Sundays are Youth Sundays. Join us as we strive to follow Jesus and share in God's love. As a caring community, we share friendship, encouragement, help, hope, and personal spiritual growth. We seek this through uplifting worship and service to others. ELPC is a Presbyterian church ministering inPittsburgh, Pennsylvania for almost 200 years, committed to serving the East Liberty neighborhood as well as the responding to needs both national and global. We invite you to come share your journey with us and see if this community fits for you and your journey. Join us Sunday morning for worship at 8:45am for the Awakening Service or the Traditional Service at 11:00am. There's a place for you in God's family at Emerywood Baptist. The Episcopal Church of St. John the Baptist is a community of believers that welcomes ALL people to celebrate God's presence in the world. At St. John's, we strive to be a welcoming and diverse community of people who: Demonstrate our love of Jesus Christ through service, outreach, and inclusion to better serve our members and the community at large. Fifth Avenue Presbyterian Church exists to continue the earthly ministry of Jesus Christ by recruiting disciples for the kingdom of God, renewing disciples in their faith commitment and reaching out in love and compassion to a world in need. First Baptist Church of Asheville is a caring and compassionate church which, like Jesus, accepts everyone and is committed to serving our neighbors, community, and world. First Presbyterian Church is a congregation of approximately 500 members, a church of the Presbytery of Middle Tennessee in the Presbyterian Church (U.S.A.). As a Presbyterian Church, we believe that the same God who created the universe is the one who loves each one of us in Jesus Christ. First Presbyterian is a community of aspiring disciples of Jesus Christ. We care about each other and the world around us. We are engaged in the life of faith and the life of the city. Central to our life together is the worship of God. From that worship grows a life of service, study, and prayer. Welcome to the Partner Church page for Johns Creek Baptist Church, a thriving community in Alpharetta, Georgia. Please visit our website below to learn more about the mission and ministry of our community and how you can become a part of our family. The Mission of the Lutheran Church of the Redeemer is to build a community of faith- a people of God who worship Jesus Christ as Lord, proclaim his saving grace, and, in service, share God’s love with the world. Welcome to the historic Madison Avenue Baptist Church, an American Baptist congregation in midtown Manhattan. We are a diverse community that is inclusive of all people. Jesus offered us a pure example of love, compassion and justice. In our human way, we attempt to follow his example. If you are here because you are searching for a church home, you have found what many tell us is one of the warmest and most welcoming congregations in New York City. 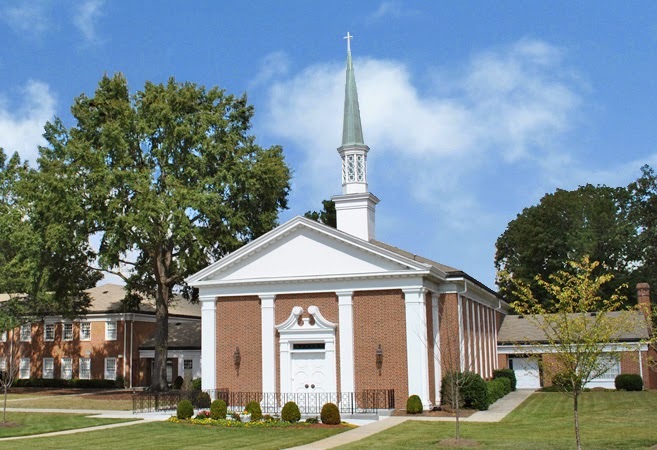 Founded in 1925, Myers Park United Methodist Church stands at the corner of Queens and Providence roads in the heart of Charlotte, a vibrant church devoted to serving the spiritual needs of the congregation and reaching out to the hurting around the corner and around the world. Learn more about the congregation here. An urban church in the heart of Atlanta, North Avenue is a thriving congregation composed of people from all walks of life and backgrounds, including members of more than 30 different nationalities—all of us seeking to know Jesus, both individually and together. Our identity as a church is largely tied to our vision, mission, and five core values. We believe God calls us into Christian community with the challenge to discern and act upon the ongoing revelation of God in our time and place. Our beliefs as United Methodists are summarized in our Articles of Religion and our Confession of Faith. We worship one God as the three divine Persons of the Trinity: Father, Son and Holy Spirit. We confess that Jesus Christ is the Son of God and is truly God and truly human, and we praise God's goodness shown in Christ's self offering, which involved His life, His crucifixion, and death, and His resurrection from the dead. Jesus Christ dwells among us at Northwest Presbyterian Church, PC (U.S.A.). Founded in 1960, the church is located at 4300 Northside Drive, just south of Mt. Paran Road in the Buckhead community of Atlanta, Georgia. Oak Grove seeks to create welcoming communities where all of God's children experience acceptance, affirmation, opportunity and life transformation. As we grow in love and knowledge of Jesus Christ, we see the importance of multiple communities of people in relationship with each other. Worship is at the heart of who we are at Peachtree Road. Our worship services and music are traditional with a warm, welcoming feel. Home of Day1 Key Voice blogger Rev. Dr. Kenneth Carter. "You shall love the Lord your God ...and love your neighbor as yourself." Saint Anne's Episcopal Church is a welcoming, forward moving church for all generations. We celebrate the life of the mind, feed the hunger of spirit, and strive to serve Christ through ministry and missions. To bring by the power of the Holy Spirit as many people as possible to know, love, and serve God as revealed through Jesus Christ; and to be transformed into spiritually renewed disciples of Jesus who know, love and serve one another and the world. St. Paul's is a vibrant parish family that strives first and foremost to follow Christ. We are a large, downtown congregation in Winston-Salem, North Carolina with a long history of moving worship, strong Christian formation and Outreach. Come meet the people. For it may be that the red brick building on the hill is a place where you belong. We seek to be a Christ-centered community, inviting you to share the love and grace of God through Worship, Education, Mission, and Fellowship. It is our belief that God calls us to be Christ's community of faith and moral discourse in Chapel Hill and the University. The Vision of the Victory Church is to address the total needs of the total person through the Good News Gospel of Jesus Christ. Welcome to the Day1 profile for Vineville Baptist Church, where we hunger for a deeper faith.